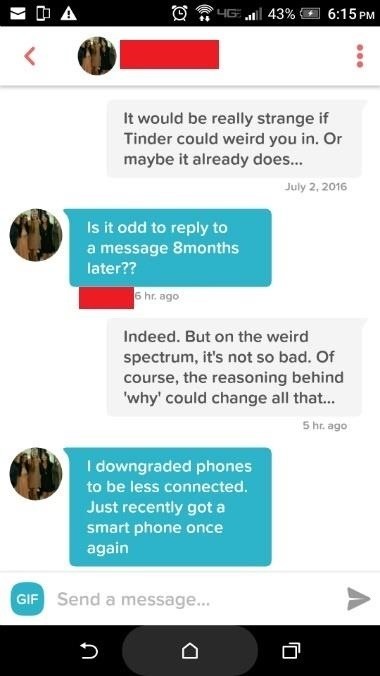 The modern age of techno-dating has made an interesting landscape for social interactions when there is some modicum of romance (or lust). For those of us born before the internet evolved into the prolific monster it has become, we first met our love interests face to face. Today, however, apps like Tinder have changed the introductory stage, for better or worse. Tinder directly interfaces with Facebook. 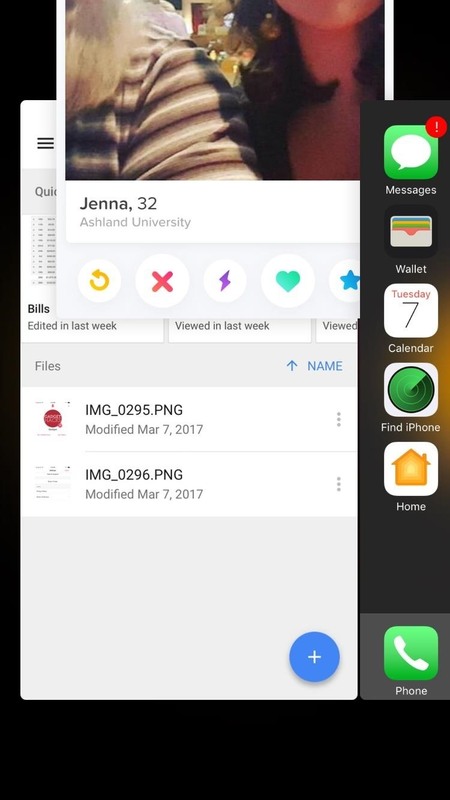 After pulling information from your account, Tinder will be essentially ready to go by the time you finish writing a clever bio and uploading your best pictures. By setting parameters for your preferred matches (i.e., gender preference(s), maximum distance from your location, and age range), a right swipe could transpose into a date sometime in the future. The thing is, there's a bit of a strategy to getting matches based on how the app actually works, beyond how much wit you packed into a pickup line. 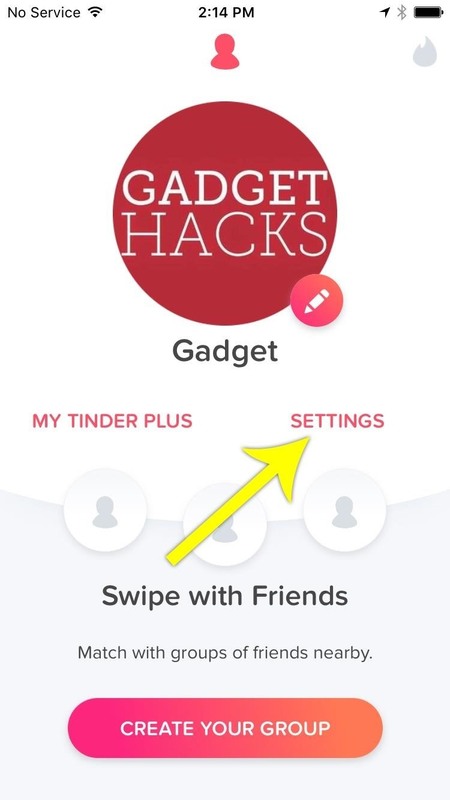 We're going to take a brief look at how the app functions and ways to adjust one of the more pressing issues—the various ways to "reset" Tinder. The Tinder algorithm has several built-in functions that determine how the application operates. From a user perspective, this affects the frequency in which your profile appears for other users, as well as how others appear in your list. In a basic sense, Tinder assigns each user a score based on desirability. This takes into account several components, such as how many have "liked" the individual's profile, their activity on the app, and the completeness of the profile. Similar to how an online match for Call of Duty attempts to pair users of equal skill, based on availability, so does Tinder attempt to match users of similar desirability. Beyond your score, Tinder takes into account two other important factors when arranging your list of potential matches each time you open the application. Users in close proximity will populate, with some variability, first in your list. Furthermore, those who have already liked you appear earlier in your list. For a number of reasons, there are times when you might want to reset your Tinder app to get a fresh start. So below, I'll cover two methods that will cause the Tinder app to give you a new list of potential matches. Every time you open Tinder, users in your defined parameter settings will populate in your list of profiles to swipe. Sometimes you will encounter a profile where you won't want to swipe left, making this person disappear forever, yet you don't want to engage the person, should you match at this point in time. Often, it's an odd situation when a silent match from months ago suddenly decides to speak up. Occasionally, timing isn't always the best for both parties. So to perform a soft reset of Tinder, simply close out the application, then swipe it away from your recent apps menu to ensure it's not running in the background. 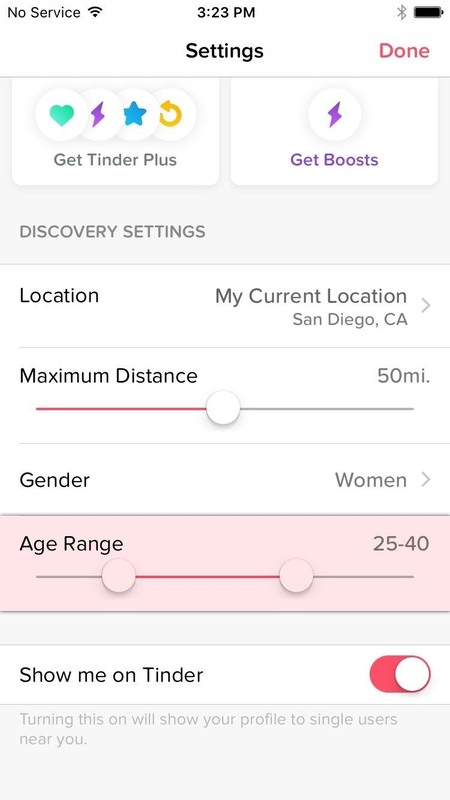 Alternatively, you can go into Tinder's settings and modify the age range of people you're seeking by a year (either the minimum or maximum), and this will perform the same function. Keep in mind, as previously stated, those who have liked you and are closest to your location will populate early in your list. This will give you a good idea of who's interested before you invest in a right swipe. (1) Swiping Tinder away from the recent apps list to do a soft reset. (2) Modifying age range to refresh the list of potential matches. 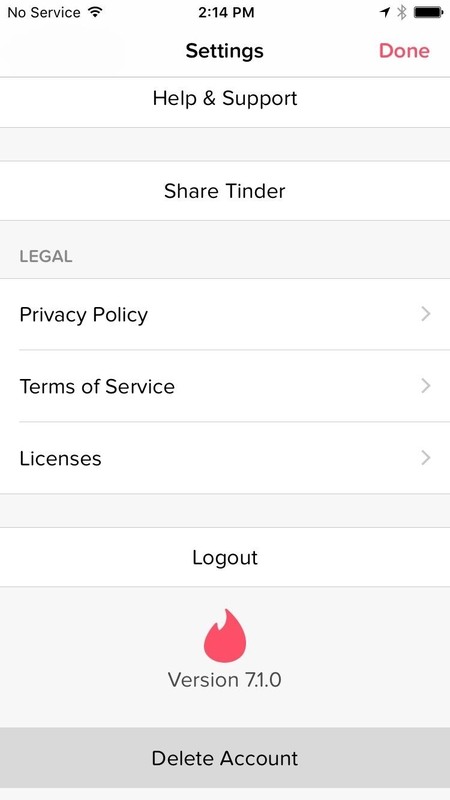 Another way to fix these issues is simply to sign up for a Tinder Plus subscription within the application. This opens up a ton of other options, such as hiding ads, the ability to change your location, a feature that shows you the most active users first, and an option to rewind your last swipe for those "oops" moments. If you find yourself in a situation where you've managed to swipe left on too many potentially interesting people, there's no real way to backpedal. If you want to start fresh, you'll need to completely delete your account and start from scratch. However, there's a bit more to it than simply uninstalling the application. First, open the application on your smartphone and sign in, if requested. Find your profile by tapping on the silhouette in the upper-left corner, then choosing the "Settings" option. From there, scroll all the way to the bottom and select "Delete Account," then confirm your choice. Next, you'll need to delete the app from inside Facebook. Open Facebook in a browser on your computer and navigate to the Settings area found in the drop-down menu on the right of the menu bar. You'll find all your apps in the appropriately-named "Apps" section in the left menu. From here, find Tinder and hover over the app icon until a gray box appears. 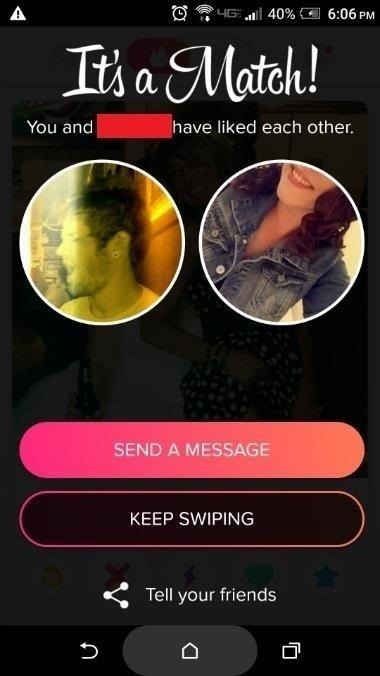 Click the "X" in the corner to remove Tinder. Finally, it's a good idea to flush the Facebook cache from your phone. The easiest way to do this is to uninstall the application, then download and install it again after restarting your device (this works for both iOS and Android). 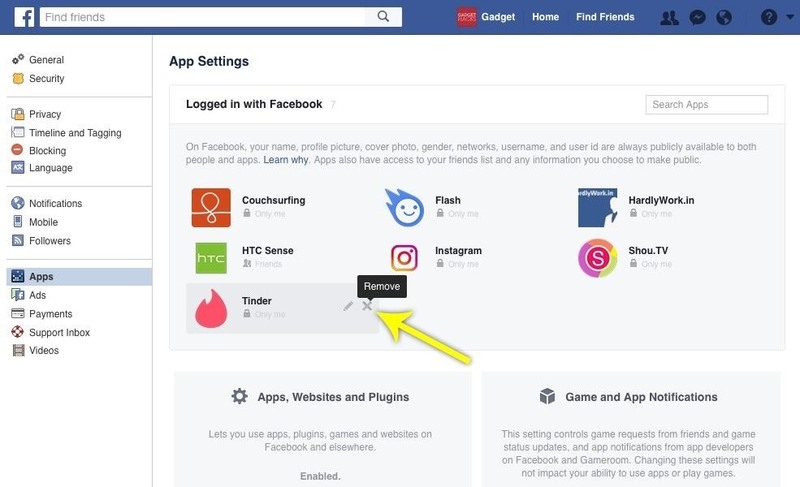 By following these instructions, you'll be able to reset the people appearing in your Tinder application, either by reordering those who appear in your feed or completely resetting your activity all together. Hopefully, you'll find that a fresh start was exactly what you needed for a more fruitful Tinder experience! News: Celebrity Lookalikes Rejoice — Dating AI Is for You!